Product code: 402 Categories: Sold Items, Sold Rings. 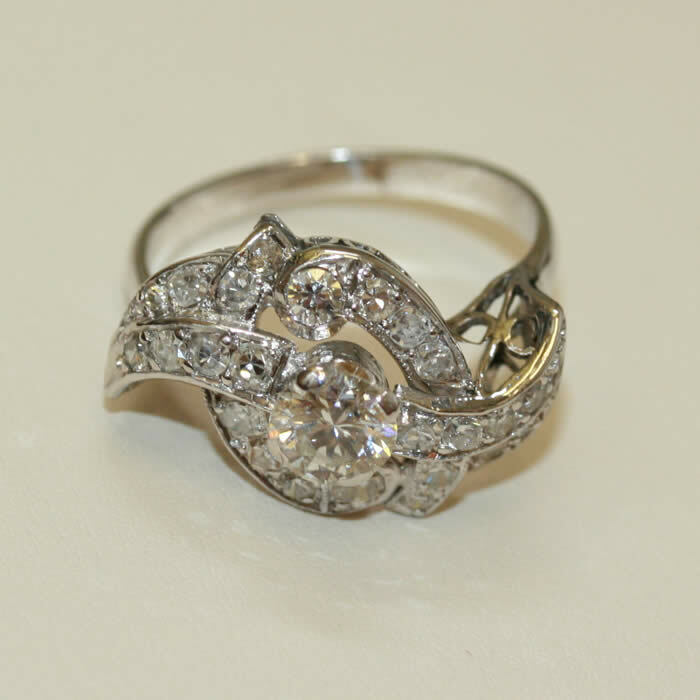 Here is the genuine Art Deco diamond ring, that so many people are after. A wonderful vibrant ring, made in 18ct hwite gold in a swirl design, set with a 0.64ct diamond in the centre F colour and VS clarity, set with a further 24 diamonds on similar grade. This ring looks so amazing on the hand, it just jhas to be tried on to be fully appreciated!